Every Thought you Think Affects Every Aspect of Your Life! If you aren’t manifesting your full potential, attracting clients you’re meant to serve, or living your best life, you can be sure that it’s your SELF-TALK that needs to change. If you are not truly, deeply in love with your life and work, know that the way you talk to yourself — your SELF-TALK — is the culprit. 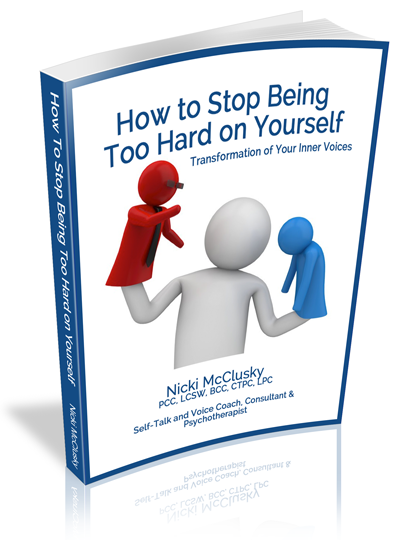 If you feel an ache in your head and heart because you’re too hard on yourself, you need to find out and dig deep to discover what you’re saying to yourself all day long. Then you can learn how to change it! Get your copy of my introduction to me soon-to-be-released book!